We at Pura d'or believe in creating only the best organic beauty and skin products made with the highest quality ingredients. All of our products are free from SLS, parabens and gluten. We are animal cruelty free, USDA Organic, USDA Certified Biobased, and Dr Trusted. . We are also #1* in Organic Anti-Hair Loss Shampoo * Rated #1 on Amazon for both Shampoo and Conditioners. Our naturally organic shampoo for hair loss treatment is free of harsh chemicals that are the current and leading cause of many chronic hair conditions. Our shampoo is free of sodium lauryl sulfate (SLS), parabens, DEA, gluten, artificial colors, artificial fragrances and harsh preservatives. This gentle formula is fortified with an organic blend of argan oil, B vitamin complex, biotin, nettles extract, saw palmetto, he shou wu (fo-ti) and other clinically proven natural ingredients to aid against hair loss. Ingredients are specially selected for increased bio availability and maximum absorption. It starts by nourishing hair follicles with essential nutrients to reverse any damage and begin the healing process. Biotin strengthens hair strands, niacin increases circulation and our exclusive DHT blocker blend promotes healthy hair growth. Continued use will prevent further hair loss. Safe for daily use, all hair types and both men and women. 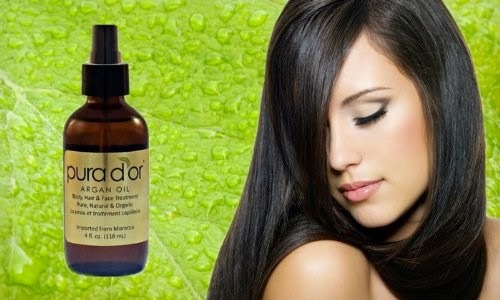 Product of U.S.A.
Our Premium Organic Conditioner is made from 99% vegetable base ingredients. It is free of sodium lauryl sulfate (SLS) DEA parabens gluten artificial colors artificial fragrances and harsh preservatives. It is derived from coconut and vegetable proteins to hydrate heal and repair damaged hair from root to end without adding weight or buildup. This gentle formula is infused with organic argan oil to add shine body & moisturizers to all types of hair from normal to fine dry or damaged hair. Other unique proprietary ingredients promote control manageability and superior smoothness. All the benefits of a premium conditioner without all the chemicals. pH balanced and fortified with Multi-Vitamins. 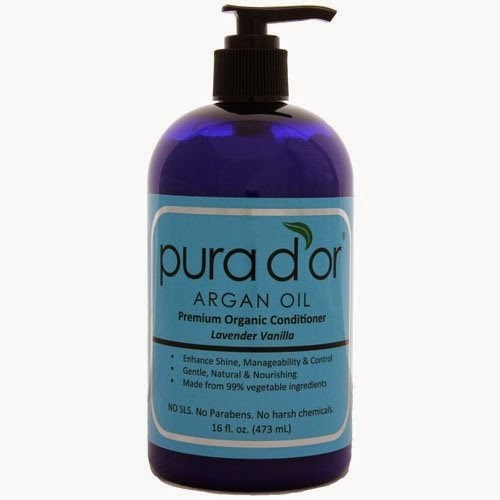 Safe for daily use and all hair types.Product of U.S.A.
Pura d'or creates better beauty products from ingredients that are not only naturally beneficial, but are also sustainably grown and raised with respect for the animals that eat them and the people who produce them. 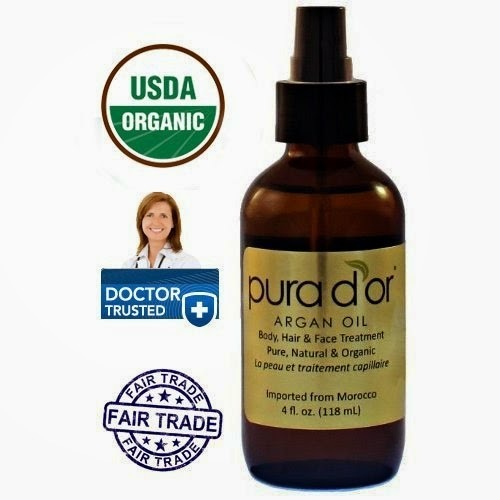 We offer free shipping to anywhere in the continental U.S.
100% USDA Pure and organic argan oil. Organic Certifed by Ecocert through NOP. 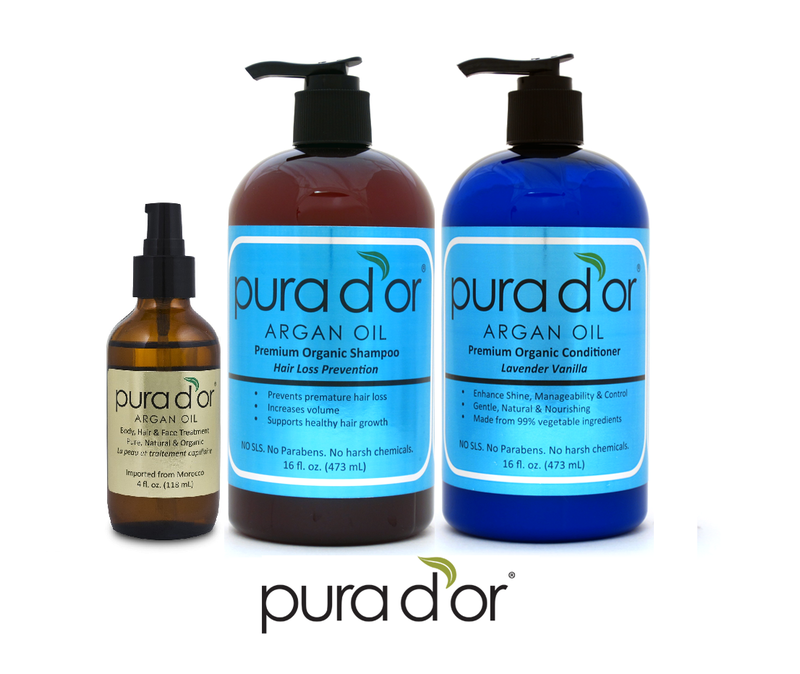 I was happy to be able to try all 3 of these products from Pura D'or. 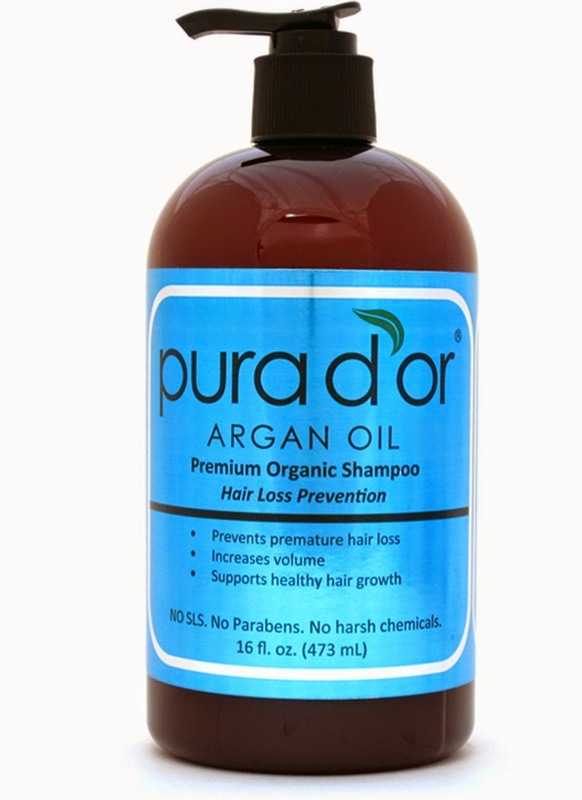 Pura d'or Hair Loss Prevention Premium Organic Shampoo, Pura d'or: Premium Organic Argan oil Conditioner for Hair and Pura d'or 100% Pure & USDA Organic Argan Oil For Face, Hair, Skin and Nails. This trio pampered me from head to toe! I have thin fine hair and it is color treated so the shampoo and conditioner were perfect for my hair. I like that you use very little and the Lavender Vanilla smells fabulous in the shower. This winter has been very drying to my skin and nails so the argan oil worked very to moisturize and treat my dry skin and nails. I like that you only use a small amount and it is not greasy or oily. I also like that it protects my skin and has anti bacterial properties. I recommend this trio of products. This sounds good, thanks I will have to try it.